alone in Paris. I have not been alone in Paris since 2014 but I've a week to experience solo Paris. 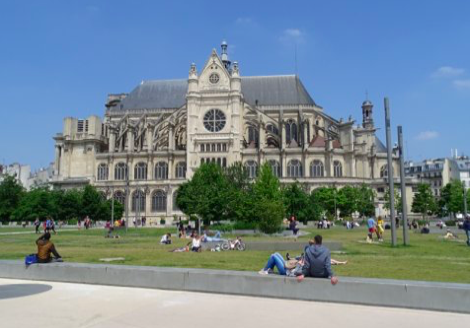 I'm enjoying living in the 14th arrondissement where rents are lower than in the single digit neighbourhoods and the restaurants are geared to residents rather than tourists. I have a new rental on Rue Daguerre (named after the man who invented modern photography) which is a pedestrian street mostly devoted to restaurants and food stores. It's like Rue Cler before Rick Steves discovered it. My new residence is only 19 square metres. The sofa extends to make a double bed and there is a table that drops down from the wall. The kitchen is in a 3 foot wide cabinet. It has been cleaned but the venetian blinds are dusty and there are ant traps. Upon arrival, I noticed that there was no toilet paper or soap. Essential items are usually supplied by the owner and replaced by the tenant as needed. At our last apartment, I met the owner, Laurence, who was very helpful. There are no instructions supplied with this apartment and I received the key from a very peculiar neighbour lady. Today is car-free day in Paris. From 11 o'clock in the morning until 6 o'clock in the evening, only public transportation vehicles are allowed in the streets. As I was eating lunch in the Marais, a procession of about 400 people came by on skateboards. There is no honking, no waiting at cross walks and reduced pollution today. It's La Journée de la Patrimoine so families are taking advantage of special exhibitions at museums and government buildings. I read my book in the sunshine. I am not fond of the métro but today, I took it over to Les Halles to visit Nelson Mandela Square. There is children's play area, a music performance area, fountains and enough seating for hundreds of people. Such good use of public space. 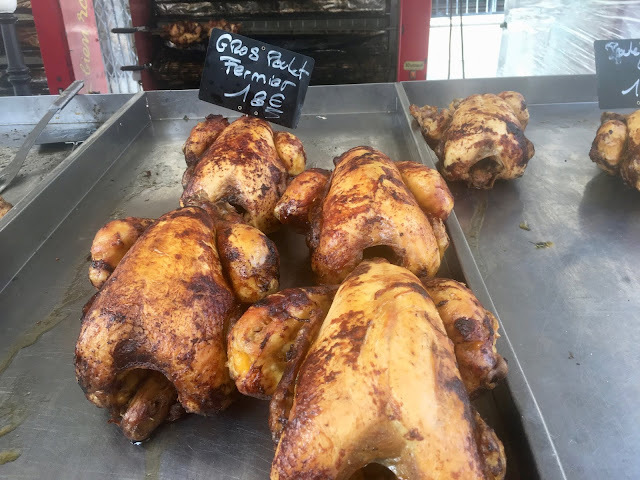 I wandered through the Montorgueil food market where the Sunday chickens caught my eye. There were also great vats of couscous. 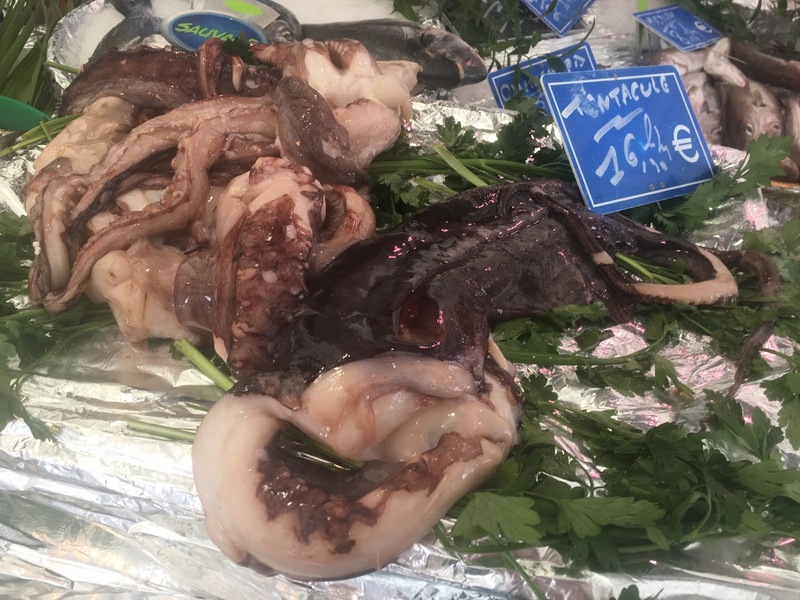 I'm a lover of squid and octopus. I don't know how to cook this. I walked back to the Left Bank to Shakespeare and Company to buy a couple of books. I don't go out in the evening so I read a lot. I asked for extra bookmarks for my book club members. I was starting to get warm and tired as I walked 16,000 steps today. In Paris, the ability to walk and to climb stairs is so important. I don't really like to eat 3 meals a day but my daughter claims that I will not lose weight by skipping meals. 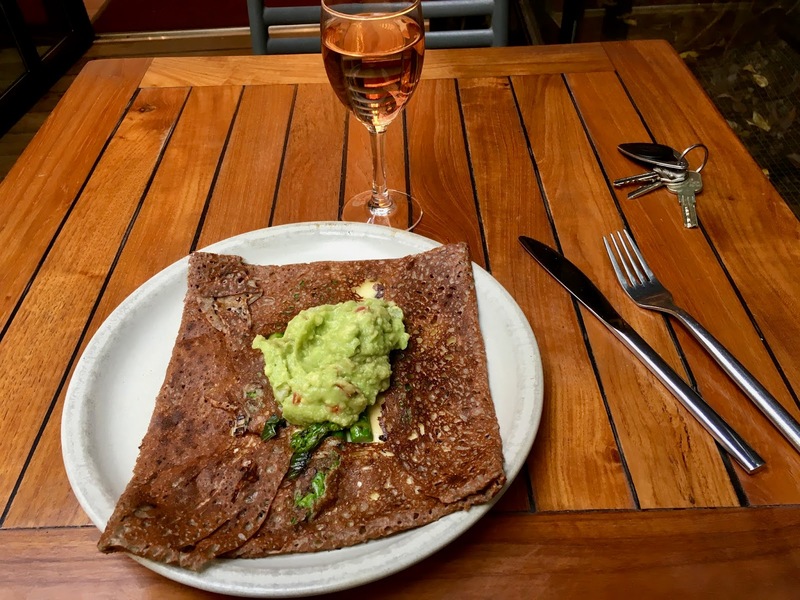 I went across the street to a crêperie and ordered a Castaneda (fusion) and a glass of rosé. The neighbour smokes very strong cigarettes and the courtyard is fragrant. I have more ants in the apartment which is sort of like a renovated garden shed in the midst of a courtyard but I've had bugs before. Ce nest pas grave! We first really got to know Paris from the 13th, and like you, liked being in a more residential area populated by a mixed demographic. I love those car-free days -- I remember once an amazing cascade of roller-bladers on such a day. . . I met her yesterday. Her store is just opening and she does not have a lot of stock but it's a great location. I tend to end up at the Lux some time in the day. A car free day is such a wonderful idea. How often does it take place? I can't imagine that happening here in the US. You must be a very good walker, and yet you don't like to eat three meals a day? I would be starved after all that walking!